Brick Town Talk: City Module - LEGO Town, Architecture, Building Tips, Inspiration Ideas, and more! 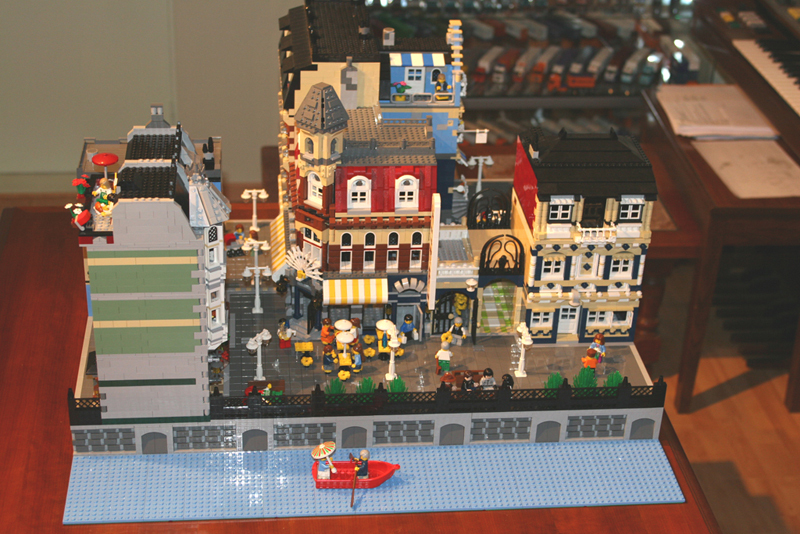 I nice little set up featuring the Cafe Corner, Market Street, and Green Grocer as well as some other MOCs. The brick wall at the waters edge is quite nice along with the lamp posts, giving it great European feel to the MOC. I was considering blogging this too. Some of the other pictures in this gallery show revisions on this - the Green Grocer with a second bay window looks great, and the bridge too. I still haven't looked at the photos in the gallery for the second module, though. I'll take a look at the second module as well.